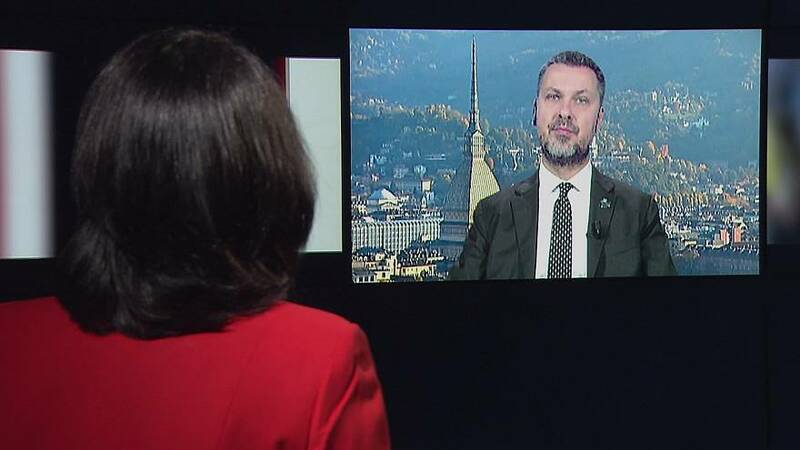 Sophie Claudet spoke to Luca Visentini, the General Secretary of the European Trade Union Confederation (ETUC). Visentini is pushing for a revision of the posted worker legal framework. Sophie Claudet:Luca Visentini, hello. Your organisation, along with countries such as France and Germany, to name a few, want the rules on posted workers to change. How do you propose to make them better? SC:Can you explain why there is his rift between Eastern and Western European countries when it comes to changing the rules. Basically, most Eastern European countries do not want these rules to change? LC: “The receiving countries would like to stop this so-called wage and social dumping. By that I mean unfair competition on wages when workers are posted to their own country, not respecting minimum wages, collective agreements … etcetera. “And on the other side you have the sending countries that would like to keep some kind of competitive advantage to make sure that they can continue posting and their companies can continue posting workers. It’s clear that the only way out from this situation is that on the one side, you guarantee equal treatment, so you solve the problem of dumping. SC:We have seen, in our reports, that sometimes workers are caught in a web where sub-contractors do not respect their basic rights, wages, working conditions and so on. Don’t you think that besides revising the rules on posted workers, there should be more controls and checks to make sure that sub-contractors do not scam posted workers. And how can that be done? LC: “Absolutely, yes, it’s true that 80 percent of posting happens in sub-contracting and not directly in the companies that are receiving these workers. There are a couple of discussions going on at the moment at the European level that could address the problem properly. “One is the discussion about the revision of social security regulations, where some additional controls could be added. And on the other side there is this idea that was announced by president Juncker in his speech in front of the European Parliament, that is the idea of creating a so-called labour authority. SC:So in closing, are you confident that the rules will be changed within this current parliament’s term that end by 2019? LC: “I think the rules must be changed because it would be an incredibly loss of credibility for the EU and the European member states after they have launched a revision not to conclude this revision on time. “The last chance is the council of labour ministers on 23 October. The deal, the compromise, should be reached there. Because if it is not reached there, there will be no more time for the EU parliament to deliver the revision by the end of the mandate.